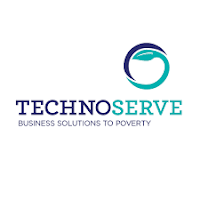 TechnoServe, in partnership with Mastercard Foundation, has been undertaking the Strengthening Rural Youth Development through Enterprise (STRYDE) program targeting the large youth population in rural Kenya, Uganda, Rwanda, and Tanzania. The second phase of the program started in 2014 and is expected to support 48,000 youth by the end of 2019. The overall program goal is to sustainably improve livelihoods for rural youth and their households. It aims to achieve this goal by helping youth aged 18 to 30 years develop livelihood strategies and harness existing opportunities in employment, agriculture, and the informal sector. A key component of the STRYDE 2.0 model is sustainability. STRYDE aims to develop the capacity of system actors to enable them to take on key functions of the model so that the impact can be sustained after the end of the five-year program. TechnoServe is working with partners to train and provide aftercare to the beneficiaries. The rationale is to build capacity of the partners in training and aftercare and therefore ensure that the STRYDE model continues to benefit youth in the future after the exit of TechnoServe and Mastercard Foundation. Working closely with Country Directors and TechnoServe’s East Africa regional team, you will be responsible for achievement of the program’s goal to train 48,000 rural youth to increase their productive economic engagement. Responsibilities encompass overall implementation of the project, including stakeholder relationships, team leadership and management, project planning, budget management and work plan monitoring, M&E and timely and cost-effective delivery of results as per the project logical framework and agreed-upon milestones. You will oversee a large team across Kenya, Rwanda, Tanzania and Uganda. 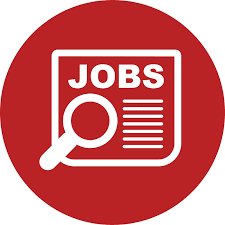 Provide thought leadership and strategic direction in the field of youth economic empowerment by representing STRYDE and widely sharing lessons learned at internal and external events.